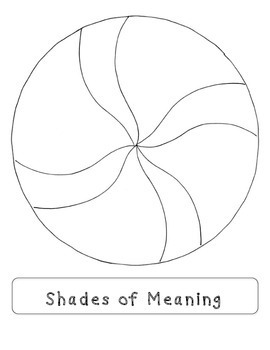 This is a fun craft for students to do to practice the concept of synonym shades of meanings. 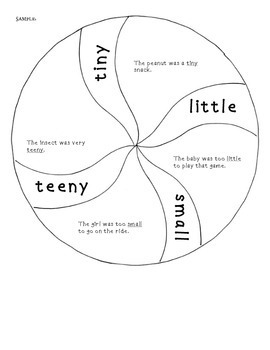 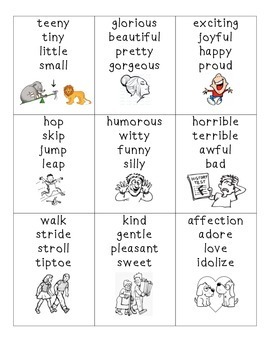 Synonym cards are provided for students to practice ordering four words at a time by different degrees and then show those variations in the swirls of their lollipop project. 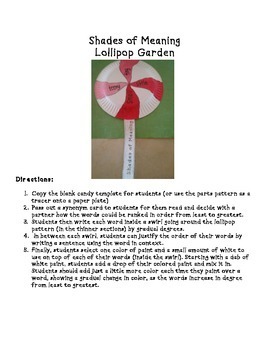 Both a blackline master and lollipop pattern parts are included.